New Year’s Resolution to Get Fit? Your Dog Can Help! 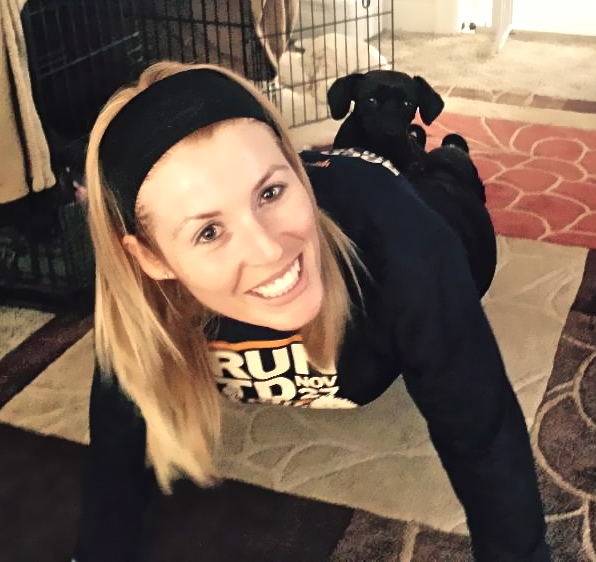 Mocha adds 10 pounds of resistance by sitting on mommy as she does push-ups! But walking your dog is a sure way to keep you both fit. This time of year, a lot of people make the resolution to get fit. But instead of navigating crowded gyms with complicated equipment or struggling through workout videos at home, how about trying another way to lose weight that you’ll actually enjoy? It’s as simple as walking your dog. 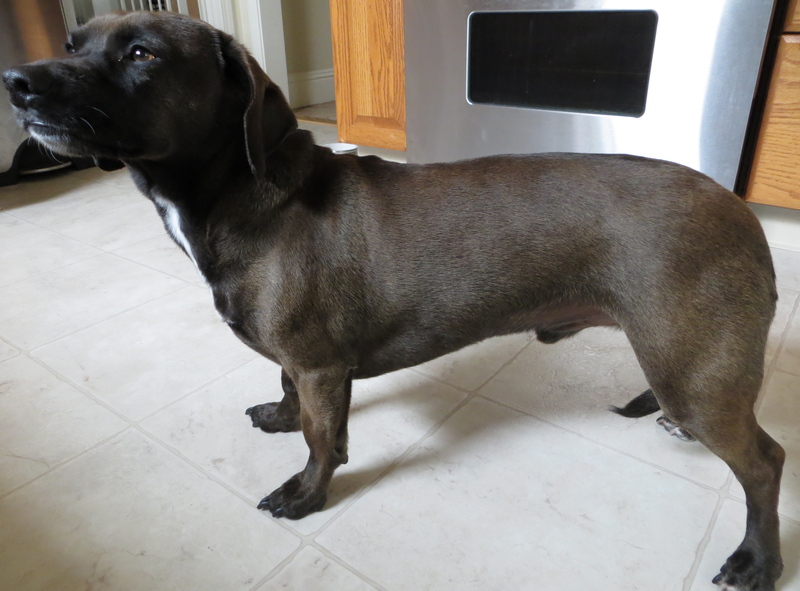 Your dog needs the exercise as much as you do. “In general, even a leisurely walk is good for your dog, both mentally and physically,” Bay Area based veterinary dermatologist Dr. Nicole Eckholm says. That’s because many health problems can arise from sitting still. Just call it Biggest Loser: Pet Edition. One Bay Area vet clinic is launching a weight-loss contest for your dog or cat, and it’s free! 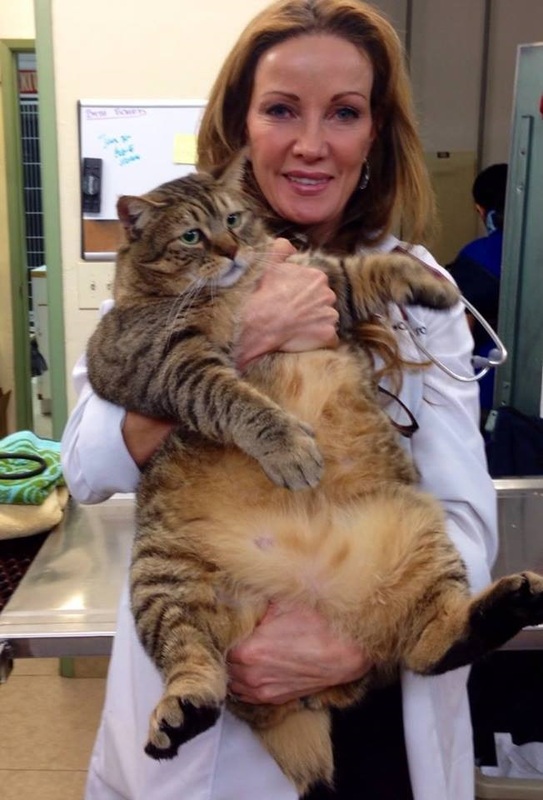 Dr. Kristina Hansson came up with the weight-loss challenge to help overweight patients like the cat pictured here. 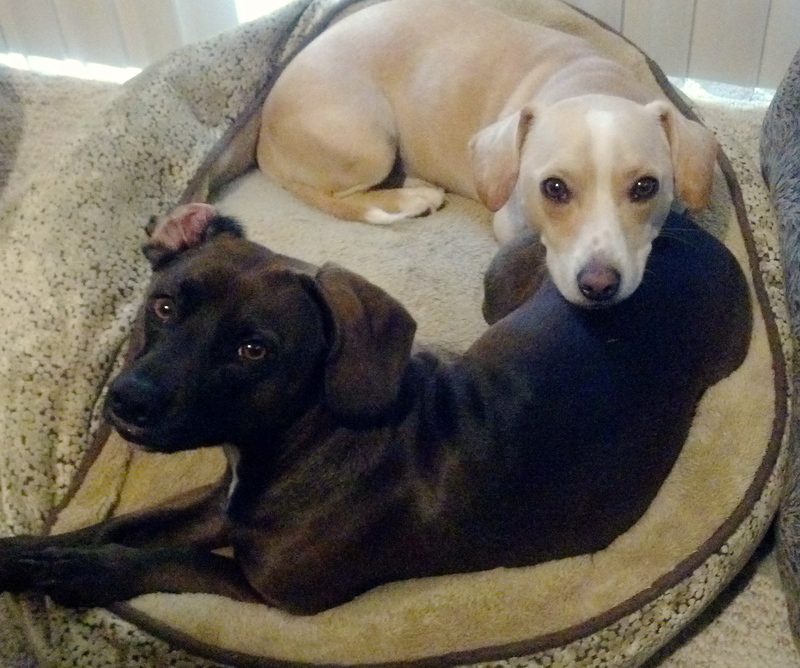 Cornerstone Integrative Veterinary Hospital in Marin County was inspired to start this weight-loss challenge due to a startling trend in pet ownership: roughly 50 percent of our furry friends are now overweight, which is leading to a number of health issues. To enter the contest, schedule a free consultation with the office in September, where they will assess your pet and do a weigh-in. All overweight cats and dogs are eligible and the winner will receive a one-year wellness plan valued at over $2,000.